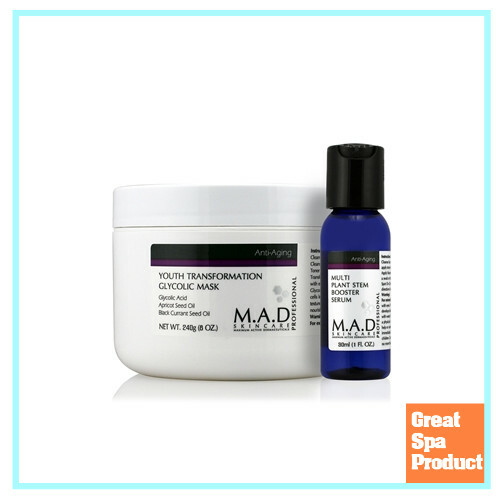 Clients will enjoy the visible benefits of Youth Transformation Glycolic Mask and Multi Plant Stem Booster Serum. This potent glycolic mask promotes skin’s elasticity; and minimizes fine lines and wrinkles leaving skin moist and hydrated. Can be used with Multi Plant Stem Booster Serum, a concentrated combination of plant stem, quickly depositing potent multi plant stem active to the skin, providing additional pronounced therapeutic effect of the mask. Prodew 400 is comprised of 8 types of amino acids as well as sodium PCA and lactic acid. In combination, this blend helps protect the skin dryness, it aids in moisturizing the skin and promoting elasticity. Elderberry Seed Oil is known for its moisturizing properties and rich in essential fatty acids, this natural oil helps enhance and improve the appearance of dry under nourished skin and helps improve skin barrier function, hydration and skin elasticity.